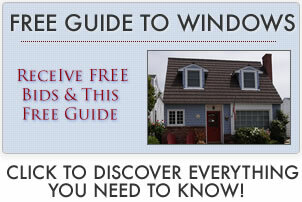 Read 4 Hurd windows reviews from homeowners and contractors who know the company, their products and customer service. Explore more on Hurd Windows And Doors. Hurd has a mixed reputation from the perspective of contractors and homeowners due to a wood rot issue in the 1990s that affected a number of wood window manufacturers. In addition, the company was purchased in the late 2000s and the “new Hurd” essentially was not required to service any past warranty claims. While this was completely legal, it certainly angered anyone who purchased their wood windows and had a problem, but no real recourse. In 2014, Hurd has once again been purchased by Sierra Pacific Windows, which is a wood window company headquartered in Andersen, Ca. It is unclear how this will affect Hurd, probably not significantly, but time will tell. Hurd makes beautiful windows, in fact I have them in my house and I do love how amazing they look. We built in 2005 and since then I have had some condensation issues with several of them. They won’t honor the warranty because the company is now owned by someone else. So regardless of how nice they look, the warranty issue is pretty huge. We spent over 50K on these windows and now we are completely on our own in terms of whatever happens to them down the road. It’s not a great feeling. It should be illegal for a company to go through a bankruptcy and resturcturing and then come out on the other side clean as a whistle, all of the warranties issues tossed into a well. It’s a sad state on how business in America works. I need 26 double casements so I got a bid from Renewal By Andersen, which was EXPENSIVE (check out all of our Renewal By Andersen pricing). Kind of a joke to be honest. Then a local contractor showed me Andersen wood windows that came in around 26K. Another contractor really likes Hurd. The real issue I have is that I’m actuall replacing Hurds that are all rotted, but the contractors swears that Hurd has figured out their past issues. Any opinions? Yes, Hurd had some issues with their wood windows back in the day, as did several companies. They had to take Penta from the wood preservative back in the mid 80s. I think they might have sold the company and wiped away all of the obligation and legal responsibility, but I could be wrong. The new Hurd is much better than the Renewal By Andersens as far as I’m concerned. In fact, the head engineer for Andersen is now in charge of the R&D program for Hurd. For the past 20 years I’ve been selling a number of different window brands and models including Hurd. Most of my work is high-end homes and I would say at least 80% have wood and wood clad windows in them. The Hurd H3 casement is now my go to window for a lot of these jobs, it isn’t the best window on the market but I would say that it’s a high-quality builder grade option. It’s an extruded aluminum window that is quite strong and the cladding comes in 15 exterior color options and they have eight or nine interior wood species to choose from. They also offer a primed unfinished, painted or stained wood on the interior which I really like. They now also offer the double hung H3 which had some issues with the weatherstripping but they fix that, the double Hong doesn’t have left handles for the two sashes. The double Hong is a good window for the price you will pay.